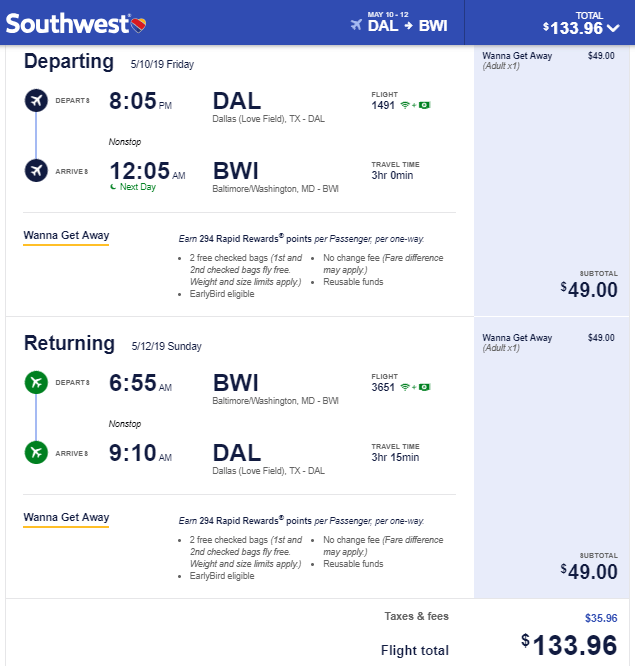 Note: You can save an additional $100 if you purchase your Flight+Hotel together as a package on Southwest Vacations and use the US100OFF coupon-code at checkout.. Before you commit, always compare the prices of the individual Flights and Hotel with other hotel booking sites like Hotels Combined. Example Dates: (Southwest) Jan 26 – Jan 29 / etc… / May 10 – May 12 / Other dates: Use the Fare Calendar on Southwest. There are more dates available than the ones we list here, experiment on your own.